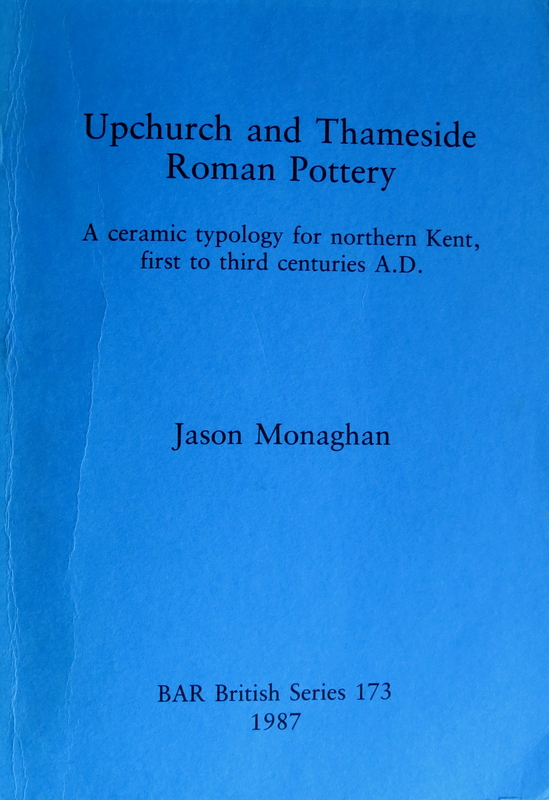 Still the definitive textbook on Roman pottery from North Kent, BAR 173 is based on my PhD thesis completed in 1986 at the London Institute of Archaeology (University of London). The book reviews the Roman pottery industries of the North Kent Marshes from their origins in the mid-first century AD to the point they fizzle out during the third century. The industries divide into the classic ‘Upchurch’ fine black vessels and the Thameside kilns which mostly produced Black Burnished Ware (BB2). Other industries in the area include the North Kent shelly jars and the Hoo flagon production. BAR 173 has been out of print for a number of years but the Kent Archaeological Society have put the entire volume up on their website. The link is given below.